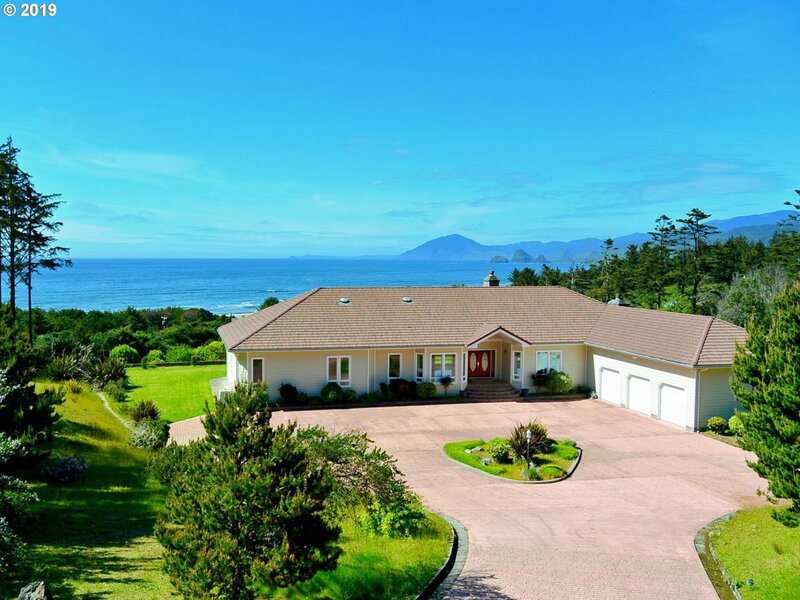 Private Estate, Gorgeous one-level home, gated & fenced w/stunning ocean views & ever-changing sunsets. Grand entrance to great room concept; floor-to-ceiling windows for views. Two wood-burning fireplaces, one 2-sided. Marble, wood & carpet flooring; cook island, breakfast bar. Master suite, steam shower, sauna & views! Intercom, attached garage w/secure entry. Gazebo w/BBQ for entertaining. Workshop/barn, greenhouse, gardens & VIEWS!